The only type of big purchase that you really need a women’s touch is when you plan on buying one of the thousands of choices in Hatton Garden engagement rings. Take your girlfriend’s bestie with you if you want to buy a diamond ring for your love. There’s nothing like a disappointed face when you pop the question. Girls, spend most of their teenage to adult life planning their wedding day and that doesn’t mean they didn’t think about the ring. The ring is the most thought about piece of jewellery in a woman’s entire jewellery collection. You want her to be happy right? Then take her friend with you to make the choice because more likely than not, they’ve discussed their dream engagement rings before. Shopping for the hatton garden engagement rings together can be a great idea especially when you cherish special moments together. 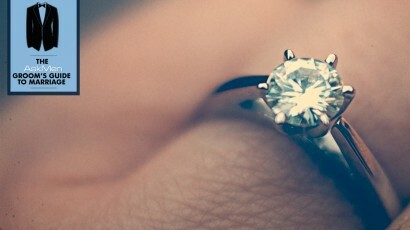 Picking a cheap and fun ring to pop the question and then telling her (Immediately) that you plan on taking her ring shopping, will really make the experience that much more special. She will thank you later. Choosing the ring together will bring you closer. We hope this advice on shopping for hatton garden engagement rings has been useful. Pop back and maybe we’ll have some other bits of tips and advice that will help you too.